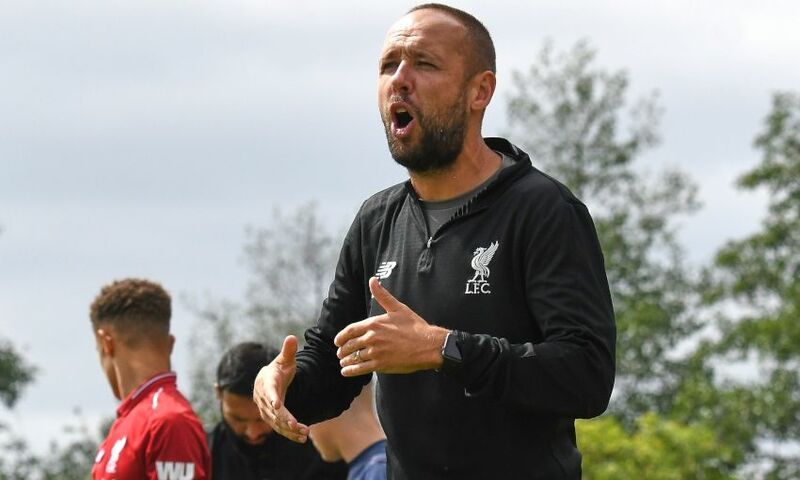 Barry Lewtas has stressed the importance of keeping 11 players on the pitch when Liverpool U18s face Manchester United for the third time this season on Saturday morning. 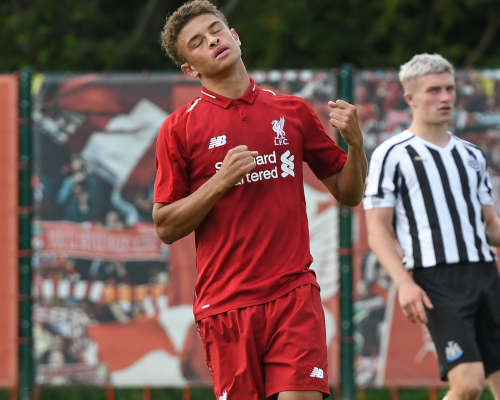 In the last five fixtures at U18 level between the arch-rivals, the Reds have ended with 10 men each time. A fortnight ago, Lewtas’ charges were 2-0 up and in control of their Premier League Cup quarter-final tie against United before a straight red card allowed the visitors to come back and win 3-2. 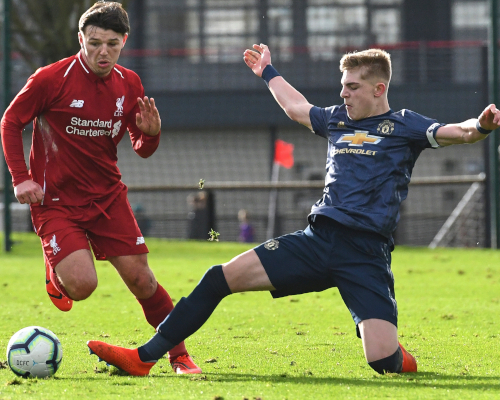 As a result of last Saturday’s home fixture with Stoke City being called off due to a frozen pitch, Everton have regained top spot in the U18s Premier League, but the Reds are just one point behind the Blues with two games in hand. United, meanwhile, are fourth in the table after beating the leaders at Finch Farm in midweek. Kick-off at the Aon Training Complex is at 11am GMT and you can watch the match live on LFCTV and LFCTV GO. The club is a close-knit community and the first team have done ever so well. They have some really exciting players from the goalkeeper right the way through the squad, and for our squad the boys have players they can look up to and see what levels are required. Rafael Camacho and Curtis Jones were on the bench against West Ham, which is great. You have to remember some of our boys went to school with Curtis. It’s a game we are really looking forward to and it will be a big challenge. They are a good team but so are we, so I think the match-ups hopefully make for an exciting game on Saturday. When you are playing against a side like United there are no weak links, they are well coached and have a nice way of playing. We know what to expect. The sending-off did change the game. We had to work hard to get the 2-0 lead but we were happy with the way we played, but it was just a lack of concentration from our defender Morgan Boyes and he got a straight red card. These things happen and it’s all part of his experience. Conceding a goal straight from the red card made it difficult for us, but we gave it our all and in the end it just wasn’t to be. We have dusted ourselves down in training and are ready to go again. Going back to first-team level, when the best play the best these are where the games can be decided really. I know it has been well documented that we have had a lot of red cards against Manchester United at U18 level, which doesn’t help because if you are playing against one of the better teams you need 11 players. We have to make sure we do our best to keep all 11 of our boys on the pitch on Saturday. The sendings-off have all been for different reasons and I don’t think it is through lack of discipline or losing control and letting the occasion get to them. They are maybe small moments of losing concentration so it’s not something that we are worried about, but it’s something we certainly don’t want to keep repeating. At the same time we have to make sure we compete and are ready for the competitive side of the game. I don’t want to take that competitive spirit out of the boys either but maybe we just need that bit of luck which might help. I’ve said before if it was a friendly game we would be looking to beat them. They have beaten us twice this season so we are certainly looking to try to make that right. It’s really close. There’s no easy games really and we know every week we are in for a challenge so it’s nice we are up there and around it and doing our best to win games. I’ve said from day one that’s what we are here for, so the more boys we can get in around the U23s squad the better. It’s good for the boys and it’s good for us and it maybe shows that what we are doing as an U18s group is good. We’ve got a strong group of players with boys who haven’t been a regular desperate to play. They are training hard, I certainly trust them and they have been waiting for their chance. So if they get that chance on Saturday it will be up to them to go out there and put the performance in that may be required. I want the boys to move up but I still want to win games. It’s not a case of moving boys up and then start to lose games. The boys who have been waiting patiently are banging on the door and wanting to play, so when they get the chance we will be expecting the levels we demand here as a club. We’ll go into every game wanting to win and preparing to win so we will see how it goes. Fidel has done well. I’ve worked with him for a few years now and I know his strengths and what he can do. If he gets the nod on Saturday we will certainly be setting up to ensure he can have the maximum effect.